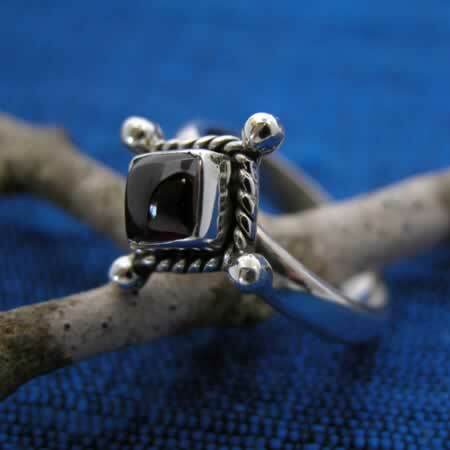 Sterling silver ring with garnet stone measuring about 5/8" tall. Handmade in India. Select size to see price.